Where in the world is Richard? 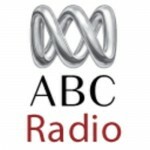 Today I conducted a phone interview for ABC 612 Brisbane. Please listen to the interview on their website. Thanks to Spencer Howson for his interest in the Time Twins project. 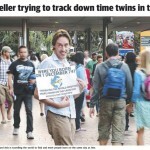 Ahead of my visit to Gold Coast tomorrow, Melanie Petrinec at the Gold Coast Bulletin has written an article about the Time Twins project. Please visit the Gold Coast Bulletin website to read the article. Ahead of my visit to Canberra tomorrow, Ian Warden at the Canberra Times has featured the Time Twins project in his column. Please visit the Canberra Times website to read the article. I shall be in Canberra until Saturday and am excited about learning about the city and ACT. 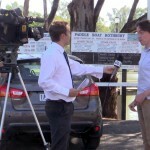 Today I conducted a phone interview for ABC Mildura-Swan Hill. Please listen to the interview on Sound Cloud here Thanks to Anthony Gerace for his interest in the Time Twins project and for informing his colleagues in Horsham and Warrnambool about it. 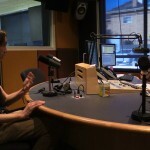 In advance of my visit to Adelaide to try and find Time Twins, I conducted a phone interview for 891 ABC Adelaide today. 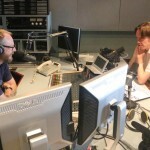 You can listen to the interview here: Thanks to Michael Smyth and everyone at ABC Adelaide for their interest in the project. Where did Richard go next? Who did he meet? Did he reach his target?